Can You Margin an IRA? An IRA can be margin-traded under very restrictive circumstances. Federal law allows you to shelter retirement money from income tax, either when you contribute the money (in a traditional IRA) or when you take the distributions (in a Roth IRA). Although you can use IRA funds to invest in the stock market, the IRS restricts the use of margin trading in IRAs -- meaning the use of borrowed money, In addition, the law bars you altogether from using the account as collateral. A margin account allows you to trade securities with borrowed money. 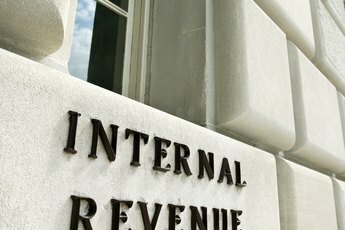 If you post IRA funds as collateral for trading, or for any other reason, the IRS considers this as a distribution of the entire IRA. The account value for this purpose would be the market value of your IRA securities as of January 1 of the year you did the deed. You would be liable for early-withdrawal penalties if you're younger than 59-1/2, as well as income tax on any gains in the account. In a traditional margin account, the brokerage relies on other securities and cash within the same account as collateral for any money extended as a loan. As you can't post IRA funds as collateral, you can't trade on margin within the account. That is why IRA broker/custodians have a rule against any margin trading at all, although there are a few exceptions made under very limited circumstances. When you trade stocks, bonds and other securities, there is a delay of a few days between your trade and the settlement date. That means if another party owes you cash as a result of a trade, you must wait for the cash to actually post to your account. During the period of time, when you have a balance due, an IRA broker/custodian may allow you to trade on margin with the incoming cash as collateral. In order to trade on margin in an IRA account, you must have a credit balance. When the previous trade settles, the incoming cash is used to pay off any margin loan outstanding within the account. At no time can you owe money to your IRA account, although the IRS rules do allow for a 60-day period in which you can withdraw and replace funds. Your broker won't allow margin trading through this loophole, as margin trading by definition involves a loan. If you miss the 60-day deadline, the IRS will levy an early-withdrawal penalty as well as income tax. Interactive Brokers: Can I Open An IRA Margin Account at IB? Can I Transfer Stocks from a Brokerage Account to an IRA Account? 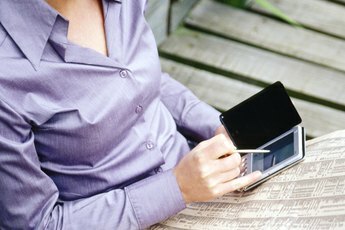 How Do Gold IRA Plans Work? 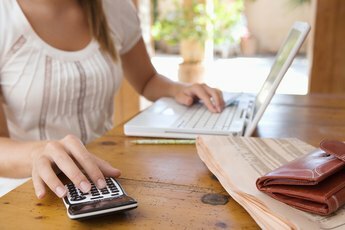 Does Using Your Margin Account Hurt Your Credit? Can I Sell & Re-Buy Stocks in the Same Day in an IRA? Can an IRA Be Opened Without a Custodian?